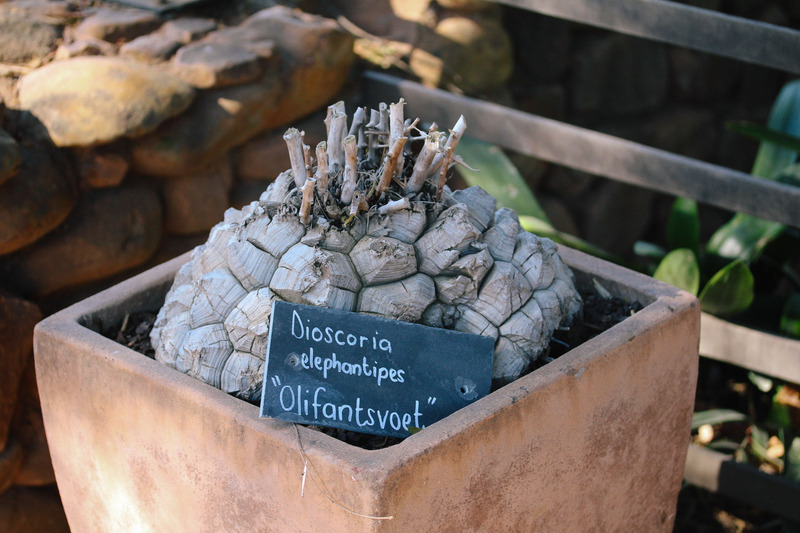 The Puff Adder – a 70-metre wooden structure that slithers through oaks and blue gum trees next to the stream – now plays host to a selection of very rare caudex succulents. 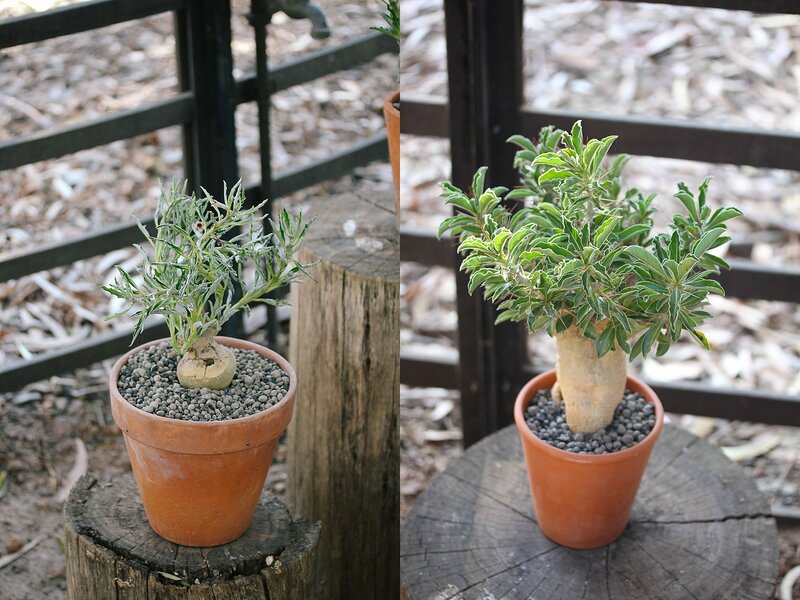 Master Botanist Ernst van Jaarsveld explains that caudiciform plants are characterised by a swollen stem base. These unique plants are all from South Africa, mostly from the Bosveld area, and include 11 different families. What does a granadilla and a sesame plant have in common? 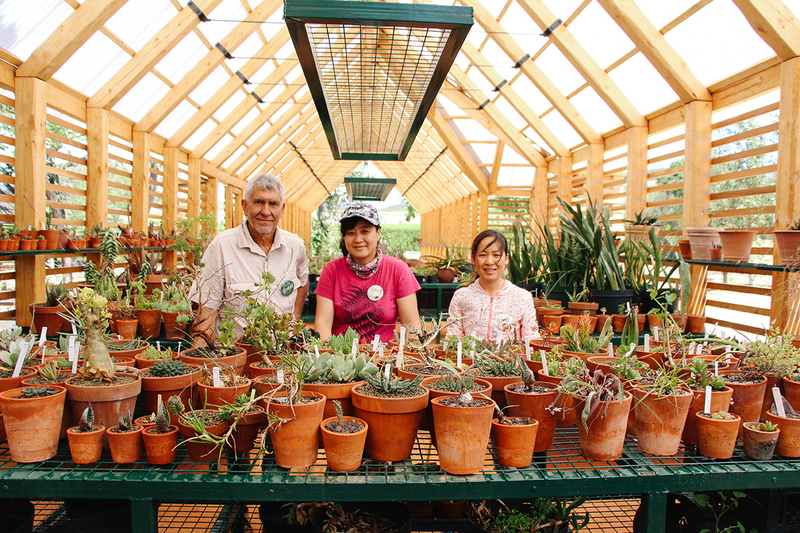 Succulents store water in their leaves or stems, and are adapted to survive dry periods. Sometimes the fleshy base comprise a combination of root and stem. Caudiciform plants occur in many plant families such as granadillas, oleanders, stonecrops, yams, grapes or the sesame family. Herbivores find those plants with a succulent stem base especially irresistible. Because of this vulnerability, many caudiciform plants have developed smart ways to avoid predation. These can include poisons or bitter sap, or camouflage. So the elephant’s foot looks like a tortoise shell and is well camouflaged among the rocky outcrops of the Namaqualand and Eastern Cape. The impala lily is extremely toxic to herbivores. The largest of all caudiforms is the baobab tree. Surprisingly, most parts of the tree are edible. The survival trick is that – once the elephants have feasted – its thick bark has the ability to heal with remarkable speed. Many of the plants currently on display in the Puff Adder were collected by Ernst on a recent bakkie expedition all through South Africa. He was accompanied by Chengy and Xing Quan from the Beijing Botanical Garden and the Bejing Botanical Garden of the Academy of Science. 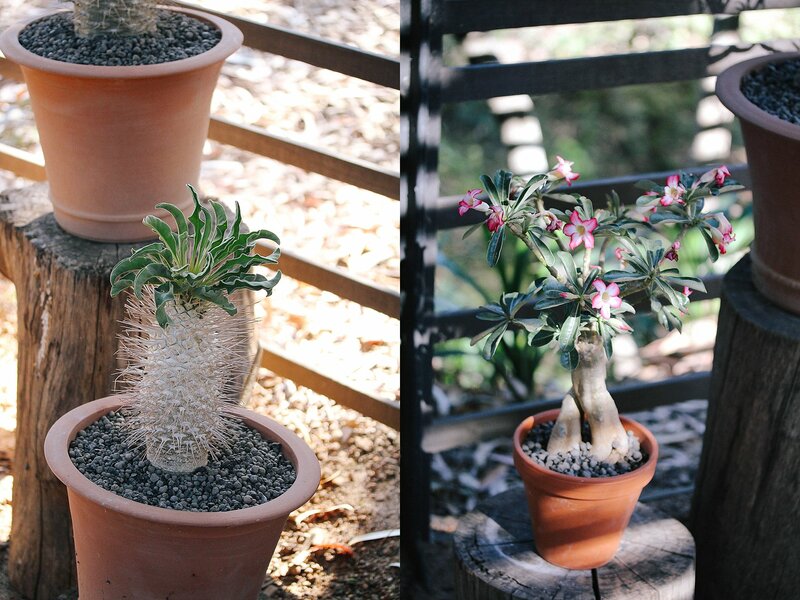 Because of their ornamental value (architectural stems or beautiful flowers) caudiciform succulents are widely grown. 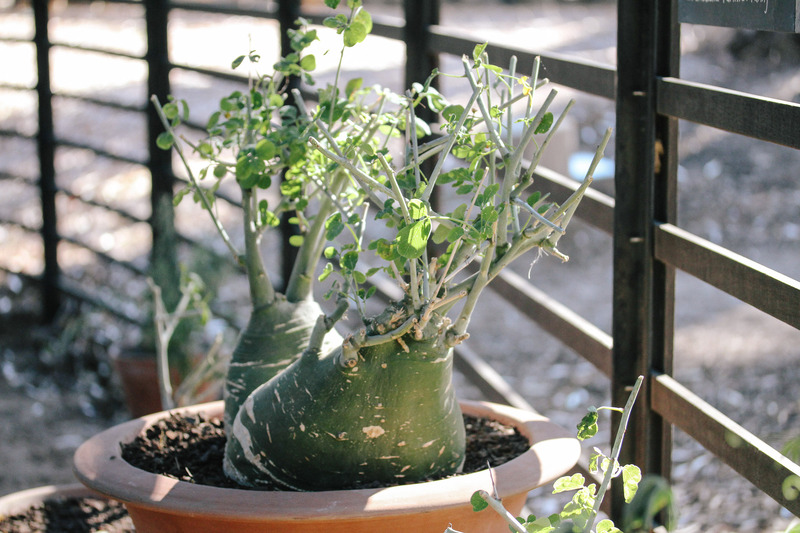 Since they originate in hot, subtropical parts, they flourish in containers in sandy, well-drained soil. Example: koba is a beautifully thickset, squat little tree from the Namib. It reaches a small tree size and when planted in a well-drained spot in frost-free areas, will also do well in gardens. I have seen these plants and I am fascinated by the looks, occurance and especially the Afrikaans names of it, I just loved it! I have heard about your place and am wanting to visit in early February. Do you offer accommodation and/or a restaurant facility? Also, do you offer a wine tasting? Are you open every day? Dear Di. We offer all of the above and we are open daily. We hope to see you soon. hi, I hope I am addressing this to the correct person. I live in Paarl and spent the entire Dec holiday building a water wise, succulent (rock) garden. All granite was locally source and I saw your blog with some wonderful plants that are on my shopping list. Do you sell any succulent plants? If not, would you make an exception? 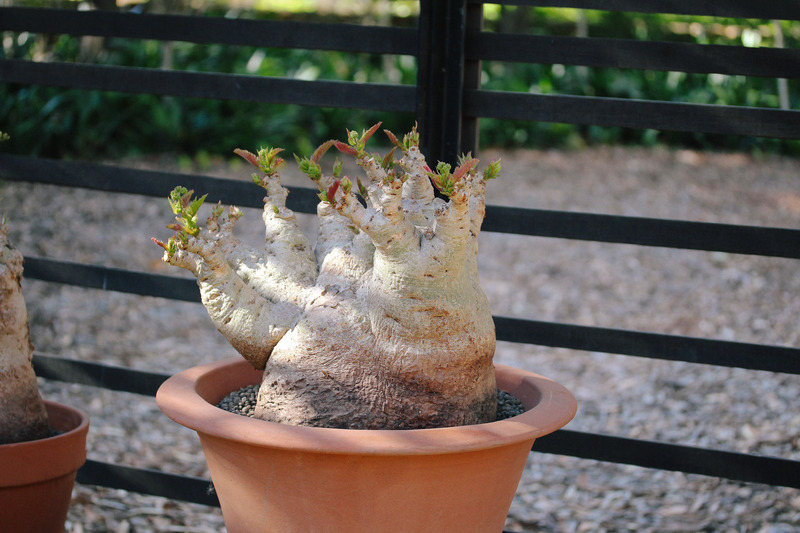 I’m looking for a Pachypodium namaquanum (halfmens). not sure if your image is of an actual Namaquanum or not? Please advise? Where can I contact Ernst van Jaarsveld.